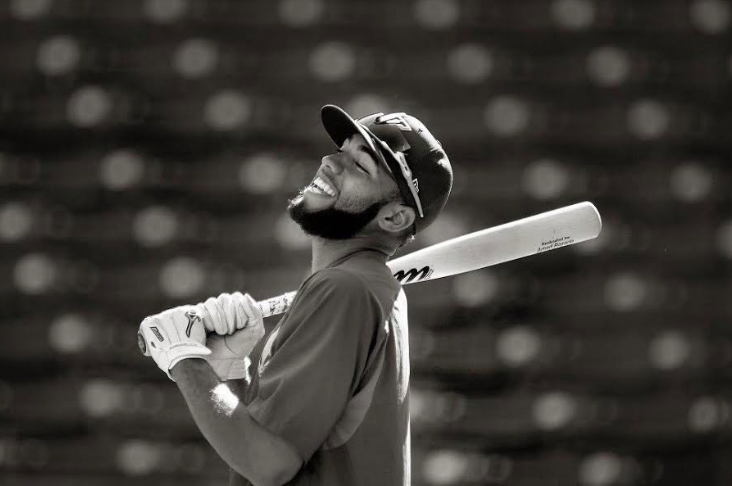 Preview performances for “The 2018 New York Mets” starring shortstop Amed Rosario opened out of town in Denver, Colorado on August 2, 2017. Previews continue through September with the official New York opening set for April 2018. Note, cast members are subject to change. The schedule may say there are eight weeks and nearly 60 games left in the 2017 season, but the quest for a franchise first three straight postseason appearances ended for all practical purposes with the trades of long-time first baseman Lucas Duda and closer Addison Reed for minor league pitching prospects and the team’s inability to close the gap with the NL’s playoff leaders. Barring a 1951 “Giants win the pennant! The Giants win the pennant!” type comeback by the Amazins, the focus of Mets fans down the stretch of the season will be the performance of the 21-year old Rosario and 22-year old first baseman Dominic Smith, the franchise’s top two minor league prospects. Rosario went one for four with a single in his major league debut against the Rockies on August 2, a game the Mets dropped 5-4, while Smith is expected to be promoted from Triple-A Las Vegas before the end of the month. Both players are in the top ten in batting in the Pacific Coast league with Smith batting .340 and Rosario hitting .328 at the time of his call-up. The athletic Rosario is rated as one of the top prospects in all of baseball with excellent speed and range at shortstop though most scouts say he’ll need to work on his plate discipline along his major league learning curve. Rosario handled eight chances in the field in his debut although his inability to handle a very difficult ground ball single in the ninth inning figured in the Mets defeat. But in taking the long view, the Mets hope such growing pains in the waning days of 2017 will lead to the fruition of a solid 2018 and a decade long residence at shortstop for Rosario. The Mets made an additional move prior to the July 31 trade deadline with an eye toward 2018 but this one interestingly involved a veteran and not rookies like Rosario and Smith. On July 28, the Mets acquired 30-year old closer AJ Ramos from the Miami Marlins in exchange for the highly regarded 21-year old pitching prospect Merandy Gonzalez and 19-year old minor league outfielder Ricardo Cespedes. Ramos has saved 20 games in 2017 after saving 40 last season and is expected to form a backend bullpen troika with Jeurys Familia and Jerry Blevins in 2018. Rosario makes his Citi Field debut before the hometown crowd this Friday night as the Mets battle the Los Angeles Dodgers this weekend. Entering play on Wednesday, the Dodgers had a major league leading 75 wins and a Secretariat-like lead of 14 ½ games in the NL West. On a personal note, I’d like to extend condolences to the family of Hall of Fame broadcaster Bob Wolff, who passed away at the age of 96 on July 15. A long-time resident of South Nyack, I had the good fortune of interviewing Mr. Wolff last October about his career and in particular his call of Don Larsen’s perfect game in 1956. Chatting in his living room on a Sunday afternoon, this gentleman couldn’t have been more gracious and generous with me. Wolff was a Hall of Fame broadcaster and on that day, he even made me feel like a Hall of Famer.